MANILA, Philippines - Sen. Leila De Lima said that the recent killing of a pedicab driver about to surrender to members of the Pasay Philippine National Police (PNP) is a criminal act. The former human rights chair made the statement on Wednesday, August 24, after a video of the incident went viral on social media. “Klarado naman na ilegal 'yan. klarado na criminal act 'yan. Basta-basta mo na lang patayin na susuko, walang kalaban-laban. That is certainly a summary execution,” De Lima told reporters. Stressing that summary exception is a criminal act, De Lima said the public should be alarmed over the incident and revealed her plans to include the incident in the Senate probe into spate of drug-related killings. The former Justice Secretary is the chairperson of the Senate Committee on Justice and Human Rights and heads the said investigation. On Tuesday, August 23, a pedicab driver identified as Eric Sison was repeatedly shot by police officers in Barangay 43, Zone 6 during an anti-drugs operation in Pasay City. 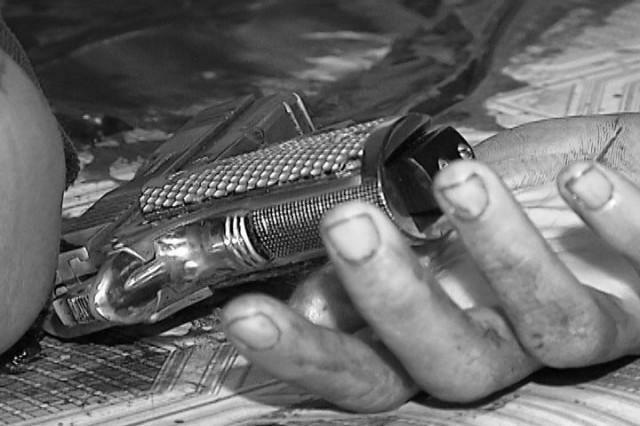 According to authorities, Sison, a suspected drug user and allegedly armed with a revolver, shot at police officers prompting them to return fire. However, an audio recording of the incident indicated that Sison was telling police officers that he wants to surrender before gunshots were fired. His wife Rachel Bermoy insists that Sison is not a drug user and was indeed about to surrender to authorities when the unfortunate incident happened. Their relatives, who echo Bermoy’s claims, said that Sison has never been criminally charged and doesn’t own a gun. A neighbor of Sison was injured after being hit by a stray bullet.